I'm not Christian so I can't really call this a Christmas card can I? 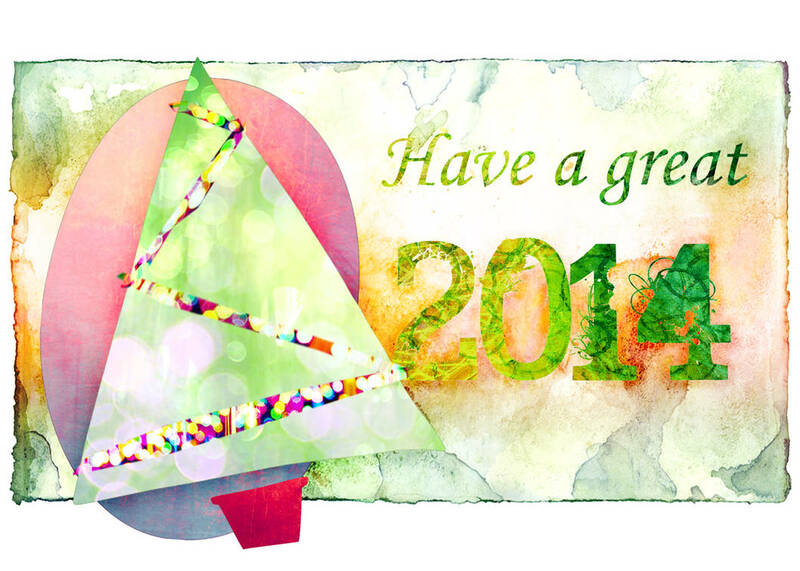 To each and all: have a fantastic 2014!! I never had the intention to make you feel guilty, about anything at all. I'm so sorry Nemo, I guess maybe.. I should be happy for you, but I can't.. not this fast. Every day, I think of him and you, I crash deeper into the unknown. Deeper and deeper in my own created abyss. I stood on the edge for far too long. Two years I fought with myself and kept myself from jumping. Pain and sorrow are all I can find, now that I'm soaring through the darkness. Perhaps this should be where the story ends. But it doesn't.. not yet. "Why do we cling to such a pathetic existence.."
I keep myself from falling the entire way down, with the aid of a single string. The last string of my heart, the last beating piece. One last break and I end it all.. But you must always remember, when everything seems to be going against you, that the airplane takes off against the wind, not with it. And thus I keep seeking for the light, a little lost sparkle, in my darkness. Life is a puzzle pt.2"There's an empty bleeding spot where my heart used to be.."
I know it's too late now, but I wish I could change my past. I wish I never said hello in the first place, then just maybe this all wouldn't be necessary. Then all this wouldn't have happened. But time is ongoing and who knows what would've happened if I tried to change what happened long ago. A series of irreversible events would occur when the smallest change is made. "Change one thing, change everything.."
That is the butterfly effect. And thus we're bound to shape what is coming and forget or remember what has been. July 2010 began with a wave of intense heat, the sky was burning and I thought I'd literally melt due to the sun, which was burning like never before. No cloud in the sky. And so felt the inside of my heart, ever going, in peace, no cloud in the sky. But times change and storm will come sooner than one might believe. The kiss, I hoped for, never came..
Never even cared for me..
And fly away with you? Hoping you can hear my heartbeat race..